Inspired by scorched rock and sand textures, the Canyon Table Lamp by Heathfield & Co is expertly formed by skilled craftsmen in the UK. 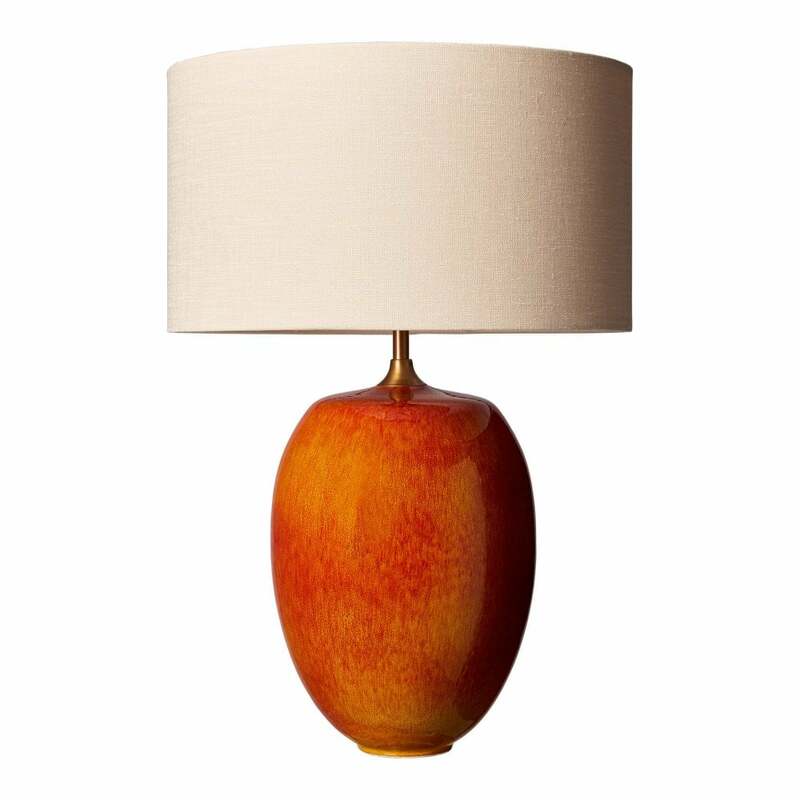 The reactive ceramic glaze brings out the vivid red and burnt orange hues that create this striking table lamp. Complemented by antique brass detailing, this table lamp looks beautiful when combined with terracotta hues, blush pinks and navy blues. A unique piece of skilful design, the Canyon table lamp echoes the vast landscapes that have been naturally shaped and contoured over time. Shown here with a stone linen shade, a wide variety of luxurious fabric and colour options are available. Priced for 14" Flat Drum shade in silk with white PVC lining. Please contact us for other options.